First year students at Beckmans College of Design in Sweden were briefed on a 360° film class project – to visualize a dream with a clear beginning and end. Teacher Gustaf Von Arbin wanted to make sure that his students were well-briefed and well-equipped technically. The focus for this course was to practice dramaturgy and experiment in this new media. The students started with a studio visit at Media Monks for a technical overview and to view examples of the media. Henrik Hallgren lectured in Dramaturgi and storytelling and Joel Dittrich lectured in all the technical programs and plugins. Viktor Peterson from CLVR did technical tutoring and Elena Malakhatka from KTH ( Royal Institute of Technology) lectured in storytelling in VR. The students shared 4 Samsung Gear 360 cameras, and all post-production was done with Adobe software and Mettle SkyBox Suite of 360/VR plugins. We are happy to share all 7 videos that were produced during this class. You’ll notice that the stories are told with few to no spoken words. Students instead used elements of dramaturgi, to tell their stories in a powerful and purposeful way, employing audio, dance and even some theater techniques in their 360 storytelling. You’ll also notice that the audio plays a key role in every video. 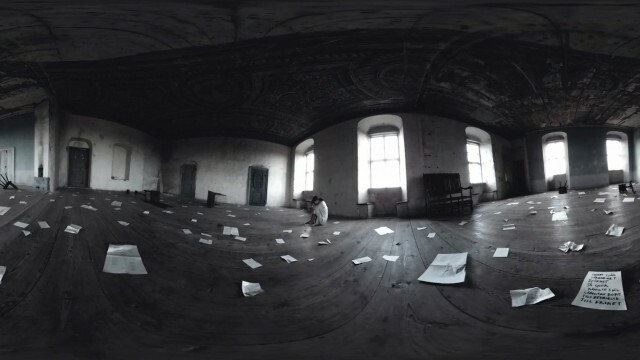 Most of the students results were shown at a VR exposition at the Swedish art institute/ museum Färgfabriken. Reminder: Mettle Skybox Plug-ins have been acquired by Adobe and will be integrated inside After Effects and Premiere by the end of 2017. Those plugins are now available if you’re an Adobe Creative Cloud subscriber. Find out more here. The Beckmans College of Design was founded in 1939 by the advertising executive Anders Beckman and the fashion illustrator and pattern designer Göta Trägårdh. They wanted to create a small art college for advertising and fashion, as an independent, creative alternative to the large, government-operated Konstfack university College of Arts, Crafts and Design. In 2003, the College became an approved examining body with full government funding, under the name of Beckmans Designhögskola/Beckmans College of Design.